Bergen County’s Most Innovative Dental Duo! Our office is welcoming and peaceful. Our mission is to provide the highest standard of care. Although vital to our health, dental care usually isn’t one of the most pleasant aspects of life. At BF Dental Professionals, we want to change that. The comfort and convenience of our patients is of utmost importance to us. By sharing your dental needs and contact information below, you give us a chance to change your dental experience to a more positive one! Your oral health is in good hands at BF Dental Professionals. Our well-qualified staff provide a variety of valuable services to their patients. Our practice offers General, Cosmetic and Implant Dentistry. These three disciplines include services such as dental cleanings, fillings, implants, whitening and much more! We strive to make the most of each visit to save you time and money. More detailed information about the services we provide can be found in the Dental Procedures section of our website. 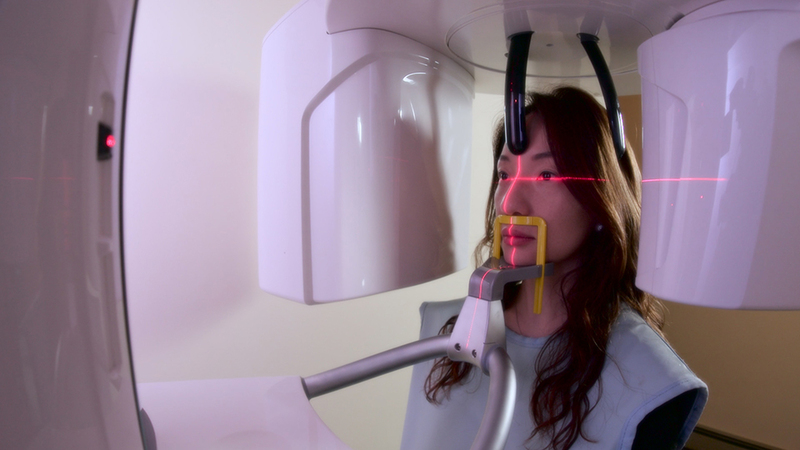 Our practice goes beyond the traditional 2-D Panoramic x-ray imaging by using the latest x-ray technology. The CT Scan is a revolutionary x-ray scanner that produces cross-sectional and 3-D images of your jaw bone. It is similar to a panoramic camera, which can capture more of our surroundings. This helps our doctors accurately and efficiently diagnose their patients, develop treatment plans and manage your needs. This is primarily used for more precise placement of dental implants and detection of oral pathologies and lesions.